Evidence found in the form of ancient artifacts demonstrates the presence of a Jewish community in Austria as early as the time of the Roman empire and corroborates the previous assumption that Jews settled in what later became Austria, Hungary, Croatia and Serbia in the third century B.C.E. It is believed that the flow of Jewish immigration in the region increased after the rebellion against the Roman occupation of Judea. Many Jews were sold as slaves and were shipped across the empire. Others emigrated of their own accord. 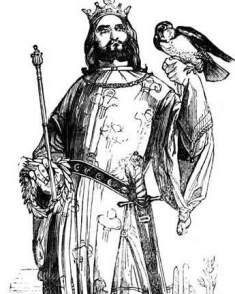 In 1420, the status of the Jewish community hit a low point when a Jewish person from Upper Austria was charged with the desecration of the sacramental bread. This led Albert the Fifth to order the imprisonment of all of the Jews in Austria. Two hundred and ten Jews were burnt alive in public and the rest were deported from Austria, leaving their homes and belongings behind. 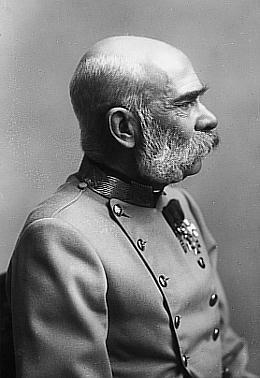 Between 1848 and 1938, the Jewish Austrian population enjoyed a period of prosperity beginning with the start of regime of Franz Joseph I of Austria who bestowed on the Jewish population equality of rights saying, "the civil rights and the country’s policy is not contingent in the people’s religion". Jews took advantage of their new freedoms by establishing wool factories in Bohemia and Moravia, Silk factories in Hungary, as well as playing an important role in the building of steel mills and the railroads. In Vienna, Jews built the only factory that produced chocolate. At the turn of the century some 300,000 Jews in Austria were scattered in 33 different settlements. Most of them; approximately 200,000, lived in the capital city of Vienna. Vienna was also a center of Zionist thought and Theodore Herzl, the father of Zionism, had studied at the University of Vienna. 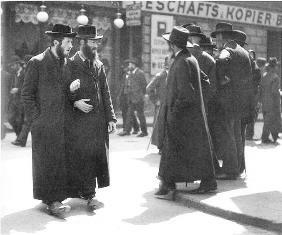 Many Viennese Jews were well-integrated into urban society and culture. Jews made up significant percentages of the city's doctors and lawyers, businessmen and bankers, artists and journalists. The end of the First World War brought the disintegration of the Habsburg Empire and the rise of Republic of Austria. Although many of the leading heads of the Social Democratic Party of Austria and especially the leaders of the Austro-Marxism were assimilated Jews, the dissolution of Austria-Hungary and the rise of ethnically defined nation states created an "identity crisis" for the Jews. Most anti-Semites considered Jews to be biologically or racially alien, and this prejudice force many Jews to cling more tightly to their Jewish ethnicity as opposed to a national identity based on ethnic origin. The Jewish population in Vienna declined dramatically during the years of the Austrian Republic (1918 -1938), yet their profile amongst the population in certain areas of the city increased. Mainly due to industrial, professional and economic factors. According to Jewish scholars at the time, 62 percent of all lawyers in Vienna were Jewish. 47 percent of physicians, and nearly 29 percent of all University professors were also Jewish. When the Nazis took power in Austria in 1938 they estimated that 25 percent, some 36,000 business enterprises in Vienna were owned by Jews. Including some 60 percent of all those engaged in Finance or big industry. After the takeover of the National Socialist German Workers Party (NSDAP) in the German Reich on 30 January 1933 a concerted effort to subjugate their smaller neighbor was undertaken by the Austrian Nazi parties which were subsequently outlawed in June of the same year. However the ban did not stop terrorist activities from occurring and on 25 July 1934 an attempted a coup d'état resulted in the assassination of the Austrian Chancellor Engelbert Dollfuss. 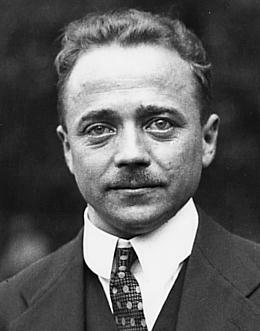 Although the coup failed, the assassination of Dollfuss was accompanied by Nazi uprisings in many regions in Austria, resulting in further deaths. In Carinthia a large contingent of northern German Nazis tried to grab power but were subdued by the patriotic Heimwehr units. On 12 February 1938 Adolf Hitler met the Austrian Chancellor Kurt von Schuschnigg at Berchtesgarden, in an attempt to force him to lift the ban on the Austrian National Socialists party and release all imprisoned members of the Nazi party and let them participate in the government. Schuschnigg refused and took steps to prepare for the defense of Austria, however over the ensuing weeks realized that he was being undermined by his own cabinet ministers who conspired to have him removed from office. Schuschnigg retaliated by trying to gather support throughout Austria and inflame patriotism among the people. On March 9th, 1938 he called a referendum for a "Independent Christian Austria" and to better his odds at winning the plebiscite, he had the the minimum voting age increased to 24 in order to exclude younger voters who largely sympathized with Nazi ideology. Hitler used this action as a pretext to to call the referendum a fraud and would not be recognized by Germany. 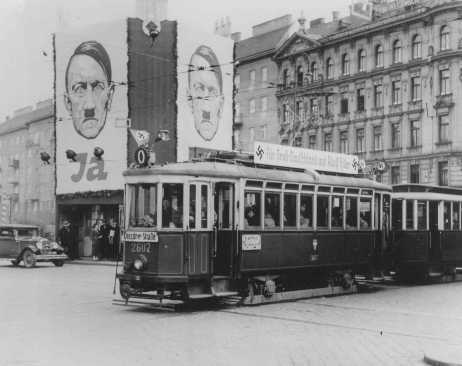 Goebbels issued press reports that riots had broken out in Austria and that large parts of the Austrian population were calling for German troops to restore order. An ultimatum was sent by Hitler demanding that Schuschnigg hand over all power to the Austrian National Socialists or face an invasion. Schuschnigg realizing that neither France nor England was willing to take steps to prevent the Nazi ultimatum, resigned as Chancellor that same evening. 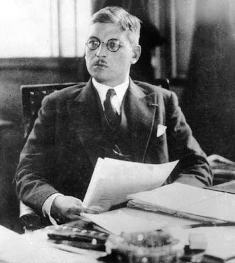 President Wilhelm Miklas of Austria refused to appoint the Austrian Nazi leader Arthur Seyss-Inquart as chancellor. The German Nazi minister Hermann Göring ordered Seyss-Inquart to send a telegram requesting German military aid, but he refused, and the telegram was sent by a German agent in Vienna.